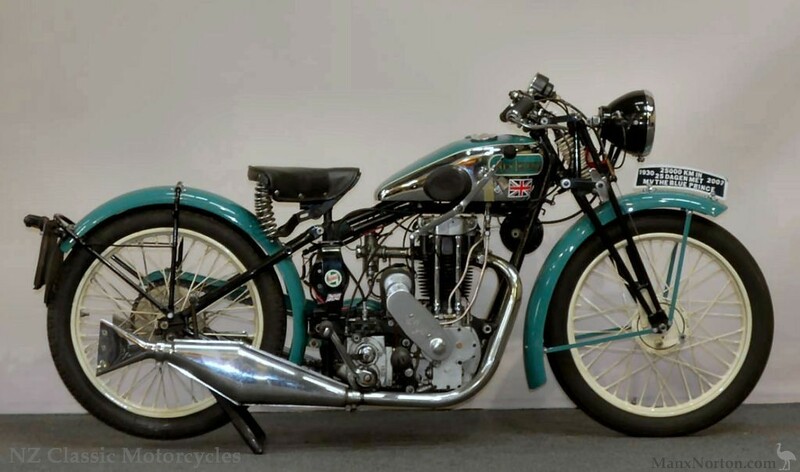 The Blue Prince 350cc models B10 and F10 were announced for the 1931 lineup towards the end of 1930. They had the same capacity as their predecessor, the Model 10, but had a shorter stroke. The OHV engines were twin-port units with dry sump, and drove through a 3-speed gearbox with hand gearchange, housed in a duplex frame. Brakes were 5-inch front and 7-inch rear, with magdyno electrics by Bosch.